The first thing that you can do is measuring the bunk bed based the available space in the bedroom. The bunk bed is available in a lot of options. You can choose the small, medium into a large bed. If you have a square shaped bedroom design with a lot of space to walk around, you can set the bunk bed located in the center area. You can have the bunk bed located at the corner space if the bedroom features one short side and one long side. 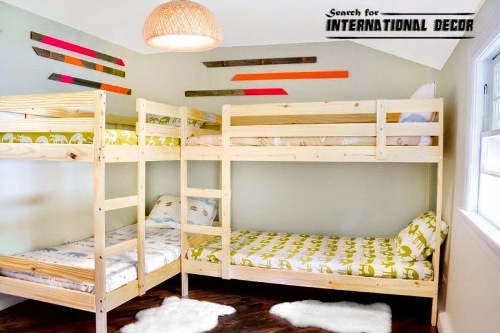 Most bunk beds are available with hidden storage space. Thus, you can enjoy less clutter in the kid’s bedroom. Under the mattress, it features the storage shelves. Under the ladder stairs, you can also spot the extra storage space. You will never see any spreading books, crayons or even toys if all items can be organized well. If you need more space to store the bedroom related knickknacks, you can install shelves and storage units around the bunk bed. You can buy the storage cubes which can coordinate well with the color and style of the bunk bed. If you have the bunk bed decorated with dinosaur image, you also apply the dinosaur stickers to decorate the surface of the storage cubes. The coat of the kid will never end up on the floor or even bed if you install a coat hook at the side of bunk bed top. The small bedroom will look clean and nice all of the time if the kids can put back all items in their place. Find ways on how to arrange bedroom with a king sized bed here. 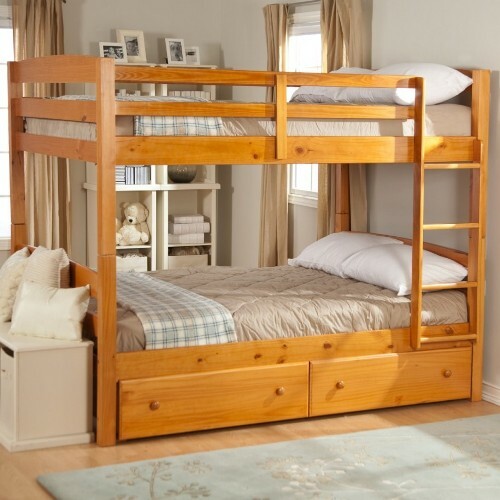 Do you like reading guides on how to arrange a small bedroom with a bunk bed? Here are some guides on how to decorate a bedroom without windows. The windowless bedroom makes the occupants trapped.